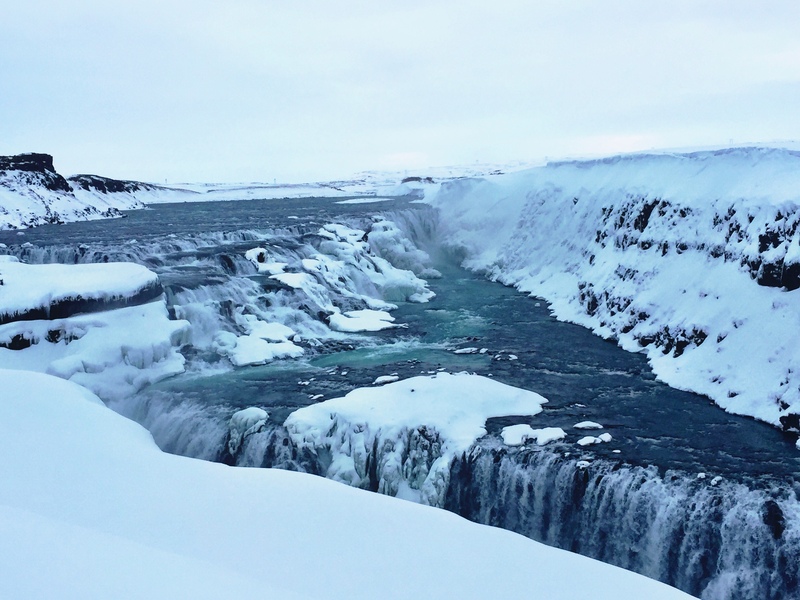 The Golden Circle and its attractions are by far among the most well known in Iceland, and being located just outside of Reykjavik it makes for a great quick trip for anyone based there or just passing through the country on a stopover. Since I had a car, I opted to skip out on one of the many offered bus tours and take a stab at the route alone. I was able to make the loop and return to my hostel in the city in just about four hours with plenty of time to explore. If you’re worried about driving yourself, know that it’s actually really easy to navigate in Iceland. The most difficulty I had was getting around in Reykjavik, but once out of the city there are not many roads to get lost on. They also mark all of their sites very well with a little symbol on the road signs so you will always know where to turn off. 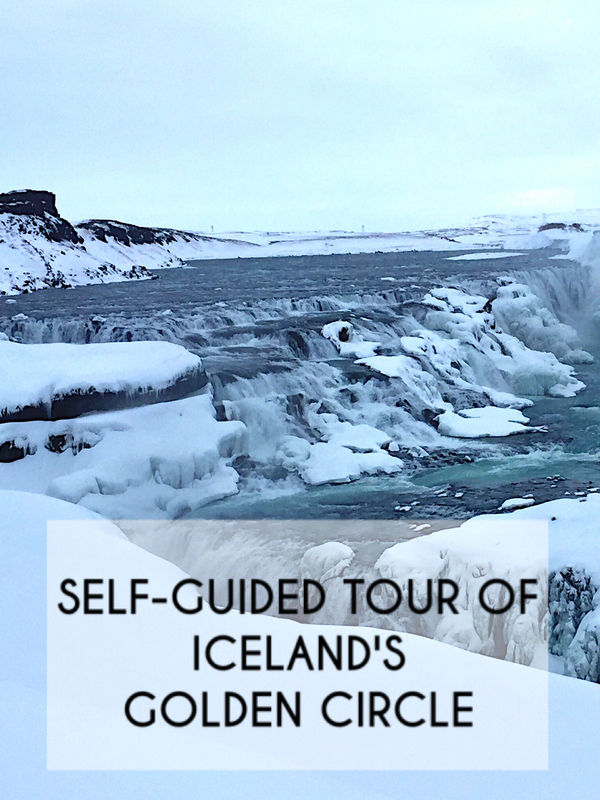 The route of the Golden Circle is used all the time by tour buses, rental cars, and locals alike so it is one of the most maintained sections of road. I headed to see the waterfall Gulfoss first, and I parked near the visitor center above the falls. This is a great place to stop for food or coffee, and they also have free WiFi. There was an (icy) path that led straight to the viewing area of the falls down below. Because I was there in late winter, the viewing distance was further back. It looked like there was a trail that had been roped off that is open during warmer months. However, the falls are still incredibly impressive in how vast they are – definitely not something to be missed. Next, I went to see Strokkur and Geysir. This is an incredibly active hot spring area with lots of steaming mud pots. Geysir is especially large, and the world’s oldest known geysers (I heard many times throughout my trip that this is where they word geyser itself comes from). 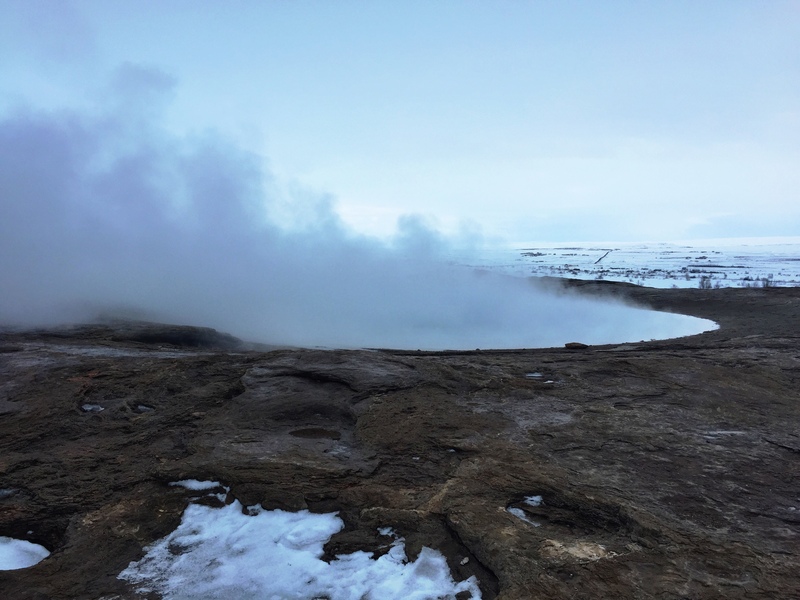 Geysir (pictured above) is more dormant, but Strokkur is extremely with eruptions about every 10 minutes or so spraying 100 feet high. 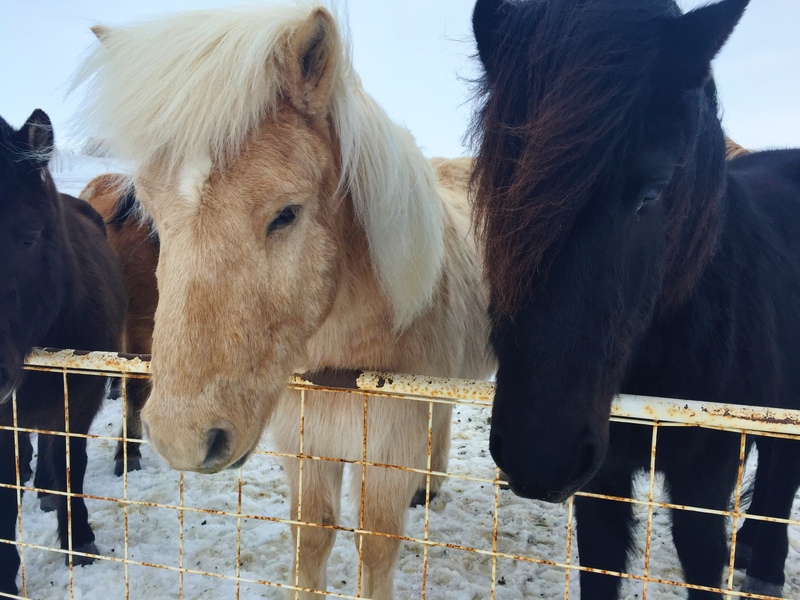 On my way back towards Reykjavik, I was able to pull off the road and get up close to some of the famous Icelandic horses. Seeing this little guys throughout the hours I spent driving always put a smile on my face. They’re much smaller and stockier than the horses I’m used to seeing, and had their shaggy winter coats on while I was in Iceland. They’re also one of the oldest breeds of horses in the world with the breed being carefully preserved since the Vikings first settled on Iceland with them. If you get a chance to meet a few, definitely take it – they’re such gentle and friendly creatures. 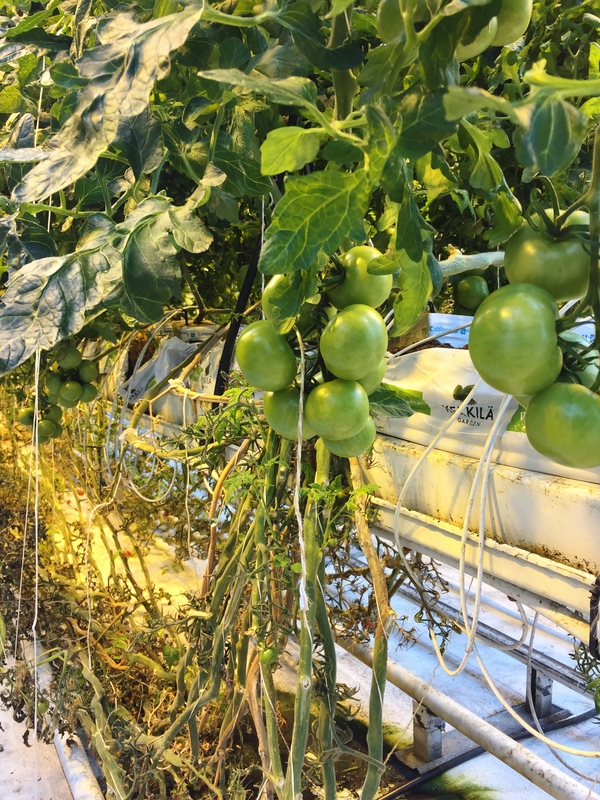 My absolute favorite stop I made during my drive around the Golden Circle was at Friðheimar, a greenhouse that grows tomatoes all year. I was the only one there when I arrived, and was lucky enough to get a tour from Jón, the head chef. 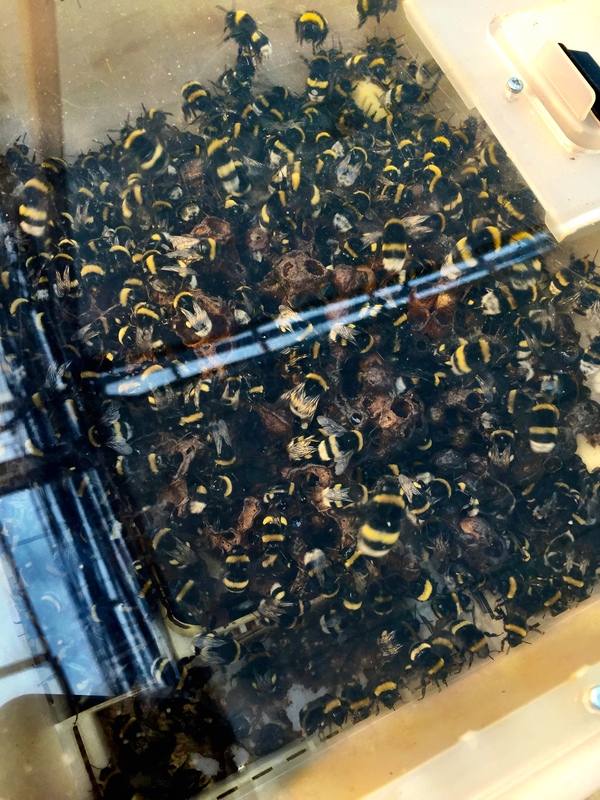 He walked me through the process they go through to grow tomatoes, showing me fruit in each stage of its life cycle along with the boxes of bees that pollinate their plants. 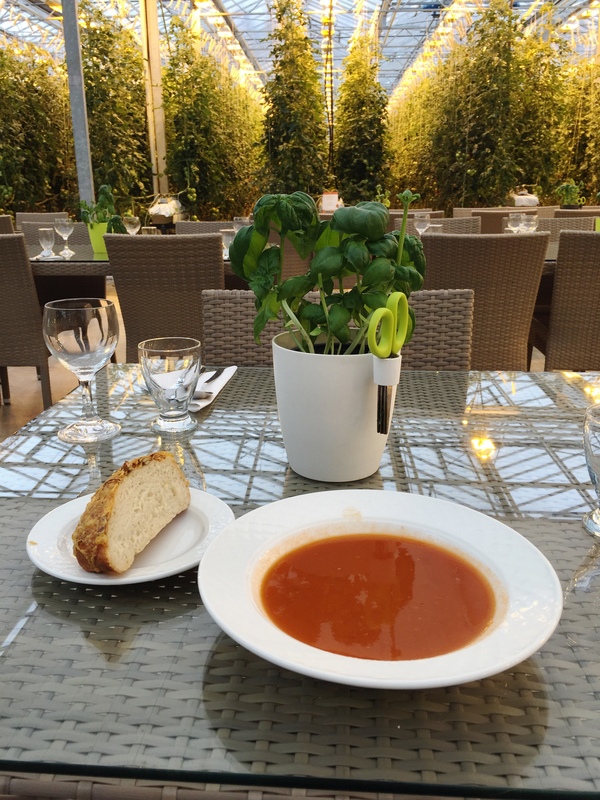 The tour was followed by an all-I-could-eat buffet of fresh bread and tomato soup, topped with butter, cucumber relish, and sour cream – definitely the best meal I had during my trip. 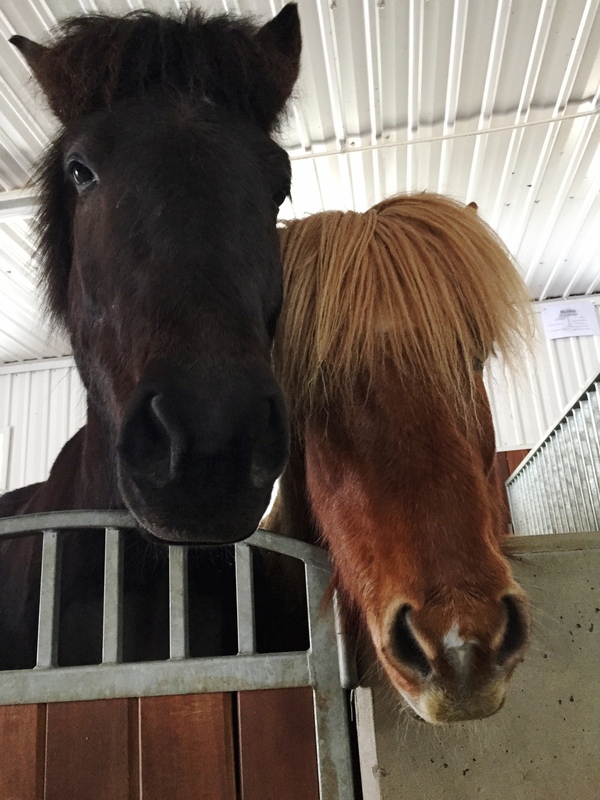 During nicer weather, the farm Friðheimar is located on offers horse shows, but since they were closed, I was able to go into the stable and visit the horses alone. A great experience that I highly recommend!